Because the African-American population in the Sarasota area is only around 5%, the programs and activities of Manasota ASALH significantly impact the cultural life of the area. In addition to our annual events, which include the Randy Rankin Scholarship Classic, Veterans’ Week Celebration, Holiday Breakfast, and the Black Muse art exhibit, Manasota ASALH also sponsors special events that celebrate the richness of African-American culture. Each year, our branch hosts a Scholarship Sports Classic, now named after one of our deceased members, Randy Rankin, which is the major fundraising event for our Manasota ASALH Scholarship Program. In the morning, participants compete in golf and tennis tournaments and play and compete in card games; at the afternoon luncheon, participants receive trophies and enjoy each other’s company. Annually Manasota ASALH partners with the Sarasota Friendship Center to present an exhibit celebrating our local veteran heroes. The celebration is held the week of November 11th. ASALH’s presentation consistently celebrates the contributions of African American service people to our country’s history. 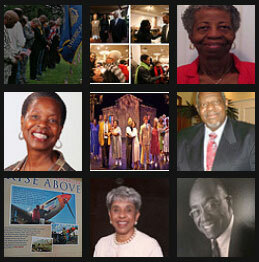 In 2013 ASALH brought in for presentation at the Robert L. Taylor Center the “Taking Our Stand Exhibit from Richmond, VA. The exhibit was viewed by over 1500 local area middle and high school students. Ret. Lt. Col. George Hardy – Tuskegee Airman and ASALH member – presented to the Booker High Advanced history class. Our Annual Manasota ASALH Holiday Breakfast provides an opportunity for members to fellowship with each other and friends, learn from a Moment in History, enjoy an entertainment presentation, and celebrate the holidays. In 1999, founding branch president Ernestine Harris asked artist, Dr. Barbara Mask – Manasota ASALH member – to organize an exhibition featuring the art of branch and community members. This long-standing annual event enables local African American artists to exhibit their works to the public. Now held at the Sarasota Art Center, it runs from the end of January through the middle of February. The grand opening averages over 200 people yearly. February 20, 2016 @ 2 PM, Dr. S. Carroll Buchanan Film Series, “Rise” Episode Five of the Six-Part Series, The African Americans: Many Rivers to Cross with Henry Louis Gates, Jr.